It's fascinating to think there was ever a time when glossy, glowing skin wasn't on trend. A reflective, even tone is the pinnacle of skin health, presumably the very fate people of past decades pined over but traded in for matte, fuller-coverage cosmetics when they couldn't achieve it. But we now live in an era where educating ourselves on ingredients and best practices is a surefire way to bring our skin to the level of dewy health we so desire. As beauty editors on the hunt for the type of skin that glows in the dark, we've tried a host of hydrating and exfoliating products to get us to lightning-bug status. 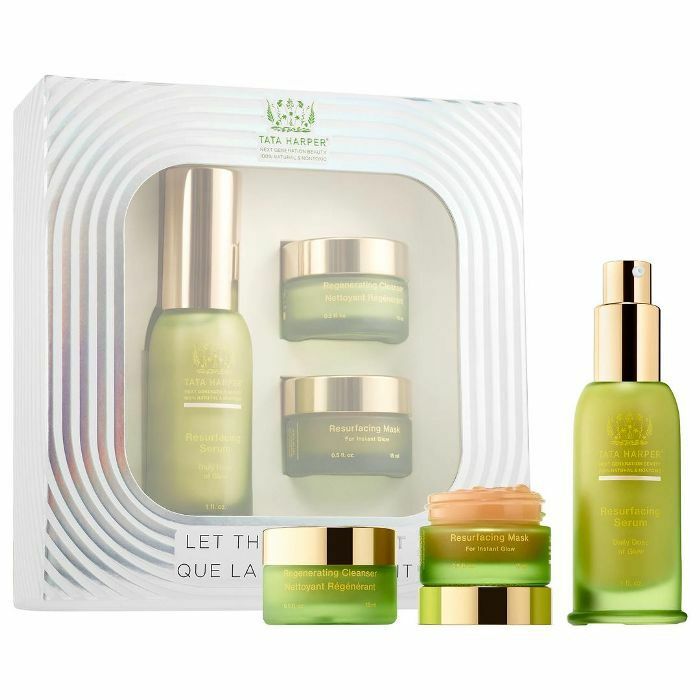 It's safe to say your loved one will also appreciate the gift of glowing skin, which is why we've rounded up some of our favorite products for generating new, healthy skin cells and reducing signs of degradation like hyperpigmentation and fine lines. Seriously, who doesn't want that this holiday season and always? Below, our favorite gifts for even, radiant skin. If you're not familiar with the hydrating, soothing prowess of watermelon, allow us to get the two of you acquainted. Sarah Lee, the co-founder of Glow Recipe, says that her grandmother used to rub cold watermelon rinds on her skin when she was younger to soothe sunburned or dry skin, a practice she's injected into her brand's über-popular watermelon skincare line, three products (a moisturizer, sleeping mask, and jelly sheet mask) packed with an unprecedented amount of real watermelon extract. 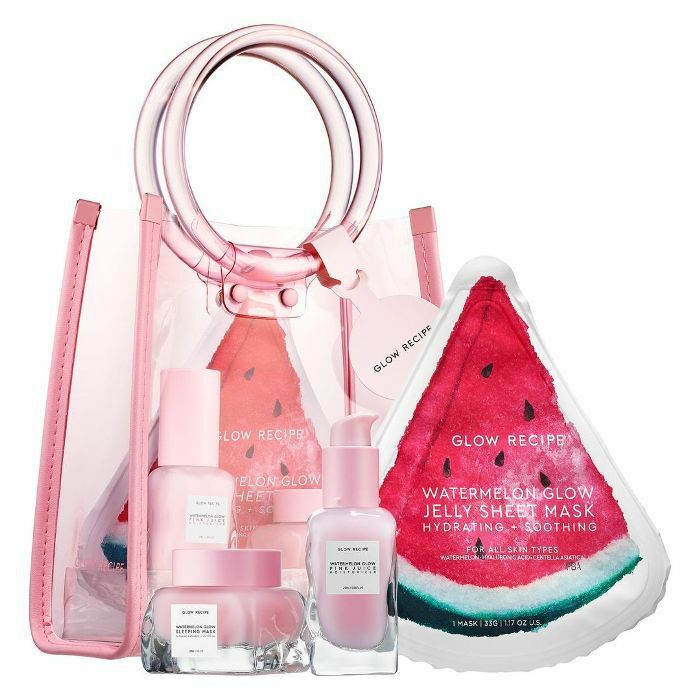 Plus, this particular set comes with the cutest pink mini jelly tote so you can match the rest of the population running around with see-through plastic handbags. If you have a loved one who complains of sullen skin and is starting to see fine lines with no reprieve from their skincare products, introducing them to the world of micro-needling will earn you some serious brownie points. In a nutshell, running this tool over your skin creates tiny injuries which then signal the skin to begin repairing itself with fresh cells, making the skin firmer and bouncier while also diminishing the look of fine lines and hyperpigmentation. 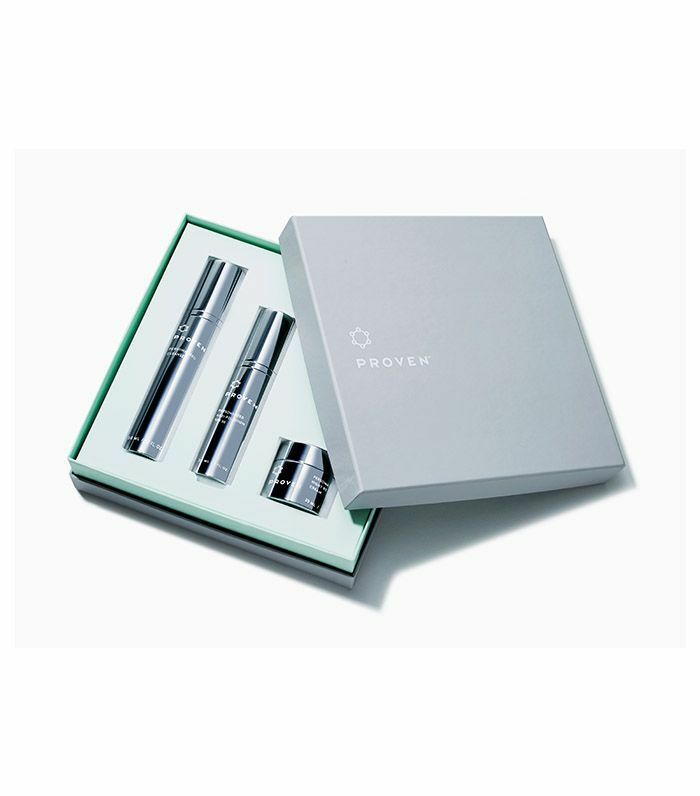 Unlike other derma-rollers, this variation also vibrates to send energy into the deepest layers of the skin, stimulating them without being invasive. It also shines an LED red light to boost collagen production. 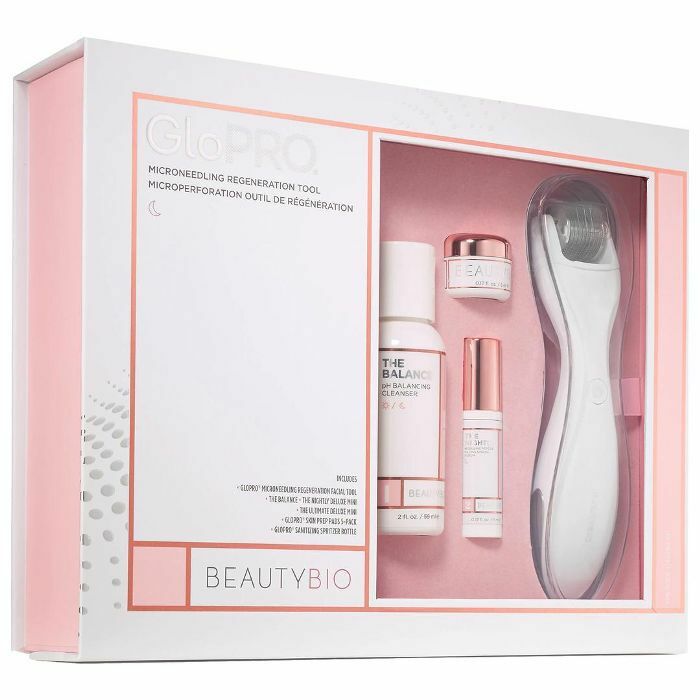 With this coveted roller, you'll also get some of GloPro's best-selling skincare products, like The Nightly Retinol + Peptide Anti-Aging Serum, The Balance pH Balancing Gel Cleanser, The Ultimate Hydrating Vitamin C Facial Moisturizer, and Prep Pads Clarifying Skin Cleansing Wipes With Peptides. And because derma-rollers help your skincare products penetrate even deeper, thus making them more efficacious, you'll get even more bang for your buck. 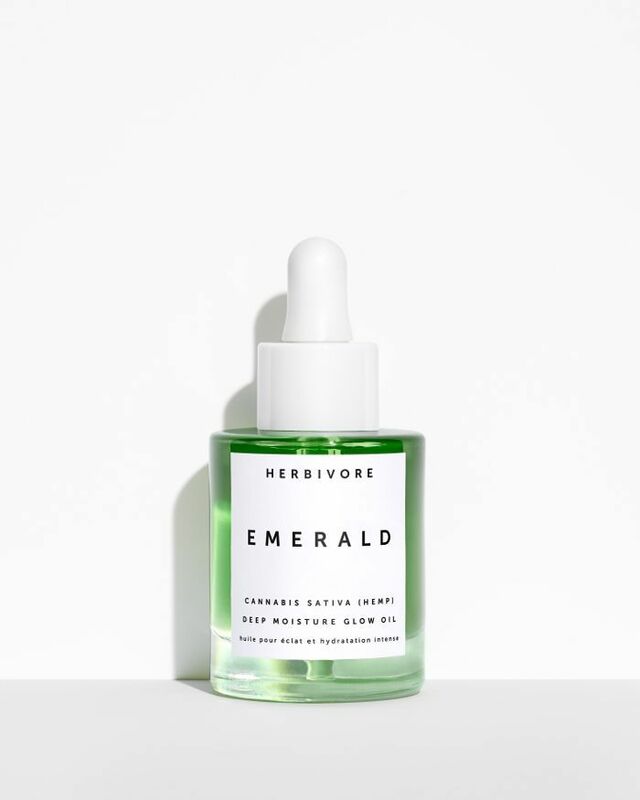 For your cannabis-enthusiastic friend (or just someone who appreciates the power of a good face oil), this new iteration from Herbivore not only serves as beautiful Instagram bait, but it also imparts a generous glow that's just as photo-worthy. Cannabis sativa hemp oil nourishes the skin by feeding it omegas and gamma-linolenic acid to seal in the deeply moisturizing benefits of squalane, meadowfoam seed oil, and borage seed oil. It's also packed with stress-reducing adaptogens like ashwagandha root, shiitake mushroom, and turmeric to prevent redness, fine lines, and dark circles. The end result is fresh, hydrated, angelic skin. The glow-inducing power of SK-II's Facial Treatment Essence comes from Pitera, a miracle ingredient legendary for its skin-transforming powers. Give the gift of good skin with this limited-edition bottle for the holidays. Perhaps your holiday budget is a bit lighter this year, but luckily there are plenty of skincare products that pack a punch without beating down your wallet. 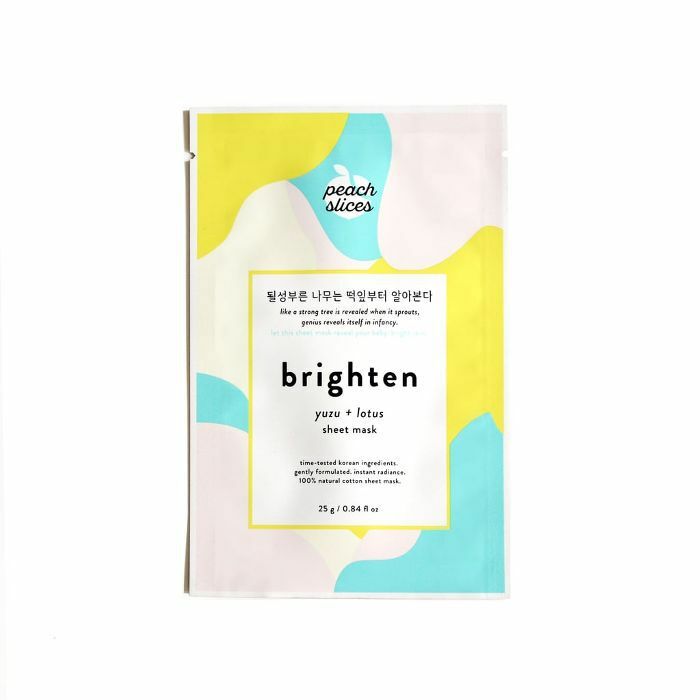 Peach Slices, a Korean skincare brand native to CVS, has several sheet masks soaked in skin-loving essences to address a wide variety of concerns for only $3 apiece. This particular mask is doused in citrus and floral extract to hydrate and brighten as well as niacinamide to improve the appearance of enlarged pores and firm the skin. Consider putting a bundle of masks together so your giftee can have one on hand no matter their desired skin outcome. One of the best ways to get a surefire glow is to remove the dead skin and buildup that's currently plaguing your complexion so new, healthy cells can shine through. This trio resurfaces, starting with the exfoliating cleanser which harnesses the buffing power of apricot seed powder as well as pink clay to draw out excess gunk. After that comes the resurfacing mask to refine enlarged pores, followed finally by the resurfacing serum packed full of tomato carotenoids high in antioxidants to protect the skin from aging elements. Scandinavian women are fond of a good steam or sauna time to help open pores and increase blood flow to the surface of the skin, which is what this Sauna Scrub was modeled after. It warms on contact then cools down to increase blood flow before tightening the skin. It's also got alpha hydroxy acids to resurface and exfoliate. Also in this duo is the Cold Plunge Pore Mask, which cools on contact to minimize the look of pores while clay works to pull impurities out of them. Celebrity esthetician Shani Darden's high-praised Retinol Reform Serum got a gentler little sister this year: Texture Reform. It's the perfect introductory retinol for a newbie, a mild retinoid and lactic acid help exfoliate the skin, revealing smoother, brighter texture while coffea arabica fruit extract, a powerful antioxidant, protects skin from the elements and reduces inflammation. For added insurance, aloe vera soothes and calms redness and inflammation. We get that it's difficult to gift skincare, especially when you aren't sure what your giftee's skin concerns are. With Proven, AI is used to analyze 20,238 ingredients in order to isolate what works best for each person's specific skin genome. Simply fill out the name and information at this link for your gift recipient and they'll be sent a survey to determine the best cleanser, moisturizer with SPF 30, and rich night cream for them, which will then be shipped right to their door. 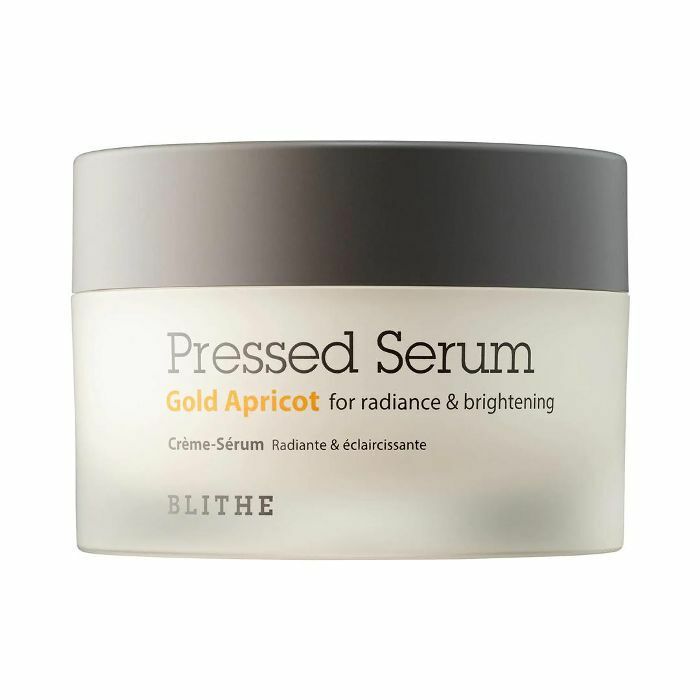 One of this editor's favorites, this pressed serum made waves last year for its innovative consistency. It's much more hydrating than a regular serum is on its own, as it has a Vaseline-like consistency filled with fruit oils to lock in moisture and give off a glass-skin effect. 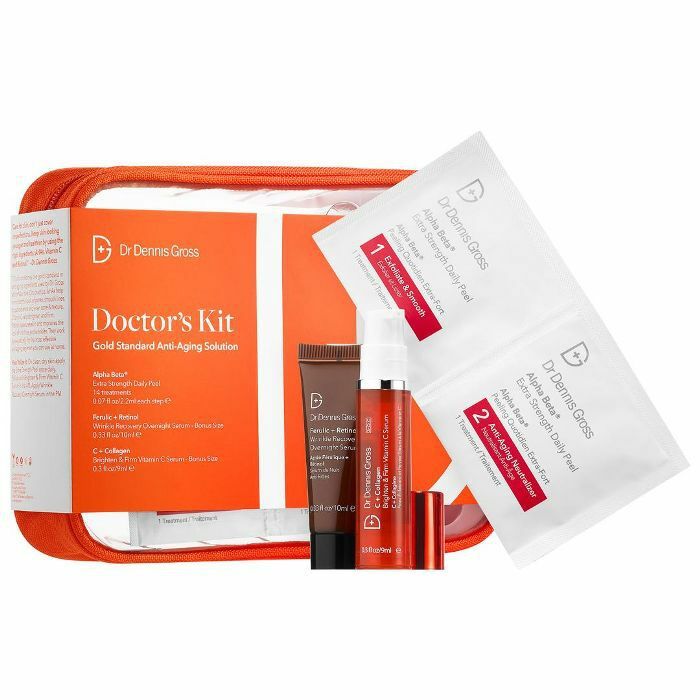 For your friend who doesn't shy away from a strong face peel, this set works as a resurfacing agent for the type of uncanny glow you could only get at the dermatologist's office (hence the name). The extra-strength AHA peel pads are meant to be used morning or night (not both), the vitamin C serum is to be used in the a.m., and the wrinkle recovery overnight serum (you guessed it) in the p.m. Since your skin will be quite vulnerable from the exfoliation, it's recommended to follow up with a gentle moisturizer. 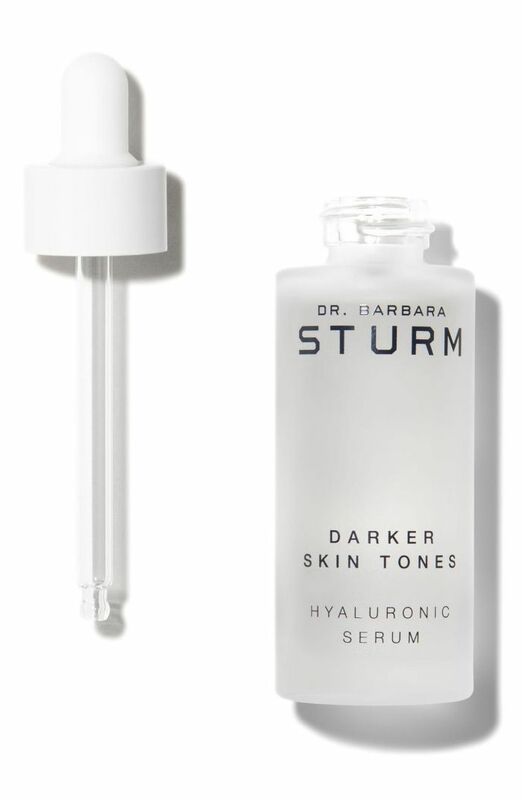 Byrdie editor Maya Allen loves Dr. Barbara Sturm's Darker Skin Tones line made to correct factors that come with having high levels of melanin, like hyperpigmentation, increased oil production, and larger pores. Take a look at her amazing before and after photos to see its skin tone–evening results in action. Practically the entire Byrdie team is hooked on this sweet-smelling fruit exfoliating mask that uses AHAs and BHAs to clean out clogged pores as well as dissolve dead skin for a strikingly brighter, smoother complexion in just one use. The ultimate exfoliating experience, this two-part set includes both a dermaplaning tool to eliminate peach fuzz and dead skin as well as trichloroacetic acid, a powerful exfoliant to encourage cell turnover. It's also got lactic acid to hydrate and brighten, as well as salicylic acid to kill acne-causing bacteria. 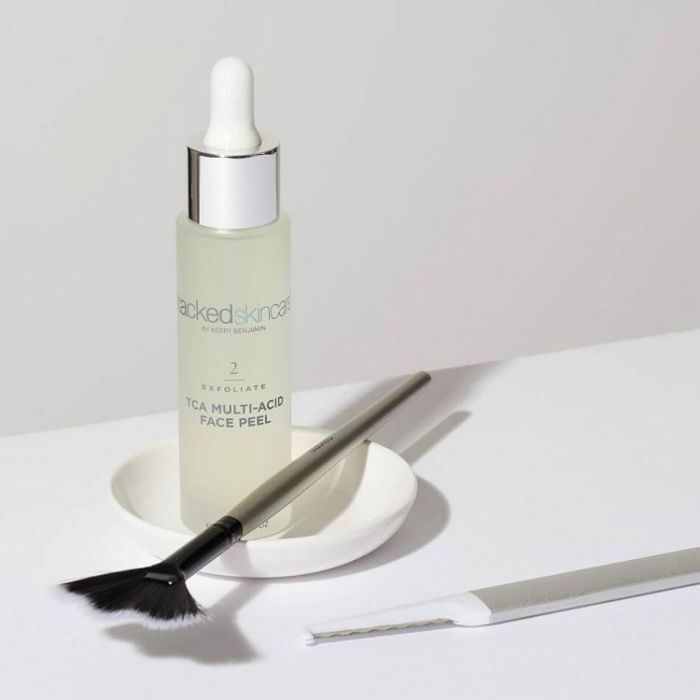 Over 700 rave reviews on Sephora claim the Rapid Age Spot and Pigment Lightening Serum, a 2% hydroquinone dark-spot eraser, has shown them dramatic improvement in uneven skin tone. 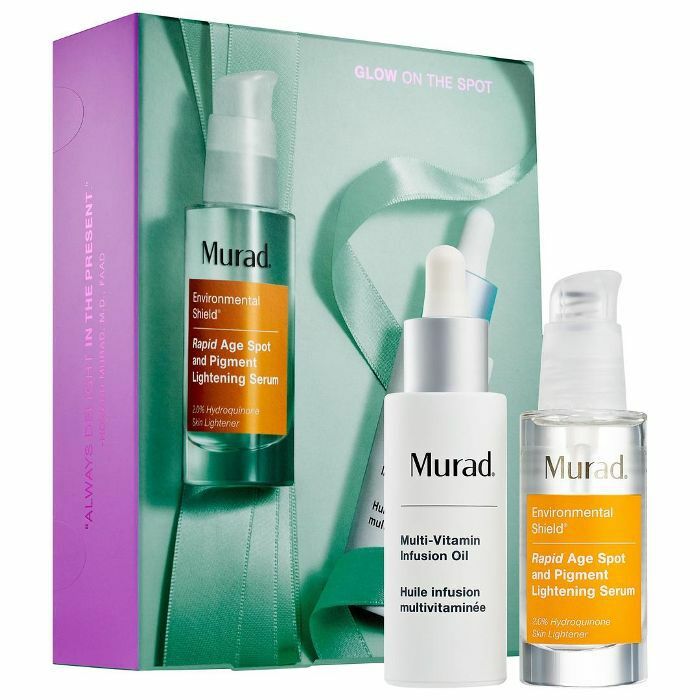 Pair that with Murad's vitamin-packed oil to target fine lines, moisturize, and protect, and you've got a dynamic glow-making duo. Our bodies naturally produce proteins called growth factors to send signals between cells to repair and restore, but as we get older, these proteins aren't as prevalent, which is where synthesized growth factors come in. Bioeffect is known for its barley-based epidermal growth factors (EGFs) to speed up skin rejuvenation while boosting collagen and skin's ability to hold moisture. 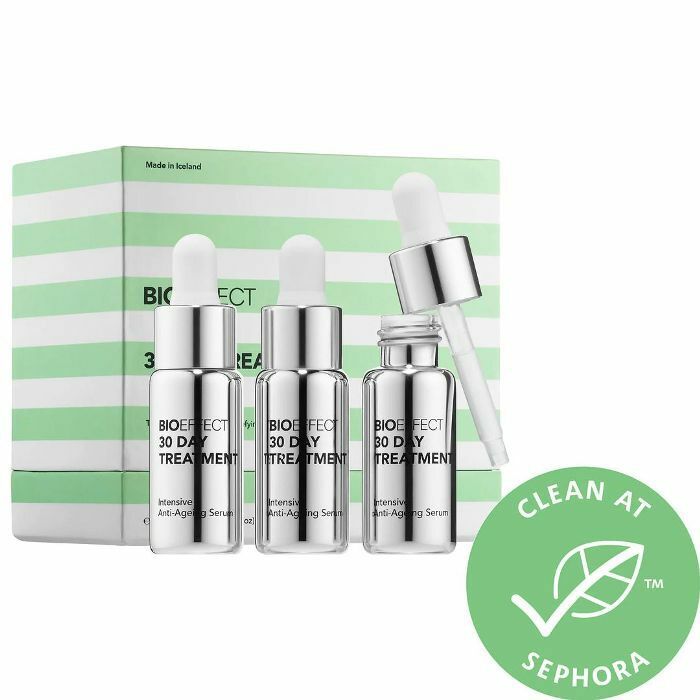 This highly potent 30-day supply will profoundly turn back the clock on your skin, making it bouncier, less wrinkled, and suppler. Next up, the skincare tips only friends of dermatologists know.